Whose Prayers Are Being Heard? Jerusalem Day! Yom (Day) Yerushalyayim (Jerusalem). Here is the email I received from my girlfield who lived in Israel for six years. She may have known him. Jewish settlement throughout the Land of Israel after the Six Day War. settlement in Binyamin and Samaria were his students. long-time citizens from all sectors of the People. goal – the Land of Israel. He died on the eve of the anniversary of the liberation of Jerusalem. He always corrected us and said: the liberation of the Land of Israel. with reality, has gone from us. May we be comforted in the building of the Land of Israel. Since the 24-hour day begins at dusk and ends at dusk, this rabbi died on Jerusalem Day. God recognized the life that he lived. He helped establish the land and helped return Jerusalem as the capitol of Israel. Today is Sunday, 28 Iyyar, Yom Yerushalayim. This article is not about death but life. Today Pope Francis canonized four women as saints. Do you realize that Rabbi Moshe Levinger will never be recognized by Pope Francis as a saint? Why not? Because Rabbi Moshe is not a Catholic. Do you think the Catholic Church has created a type of their own apartheid when they don’t make saints out of Jews? Are they apartheid when I was told last week at a funeral that I should not partake in communion if I belonged to a church other than the Catholic church? Don’t get me wrong…Rabbi Moshe is not going to complain… nor will I. 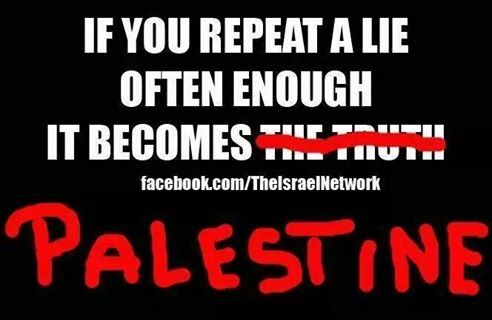 But, today I read on Face Book that someone was calling Israel apartheid. There are only 7 million Jews that live there and almost the same number of Muslims. I don’t think so Mr. FB person. The refugees from Syria want to get jobs in Israel but if they do their families in the camps will be killed. These camps are set up as ploys of war…and Israel is always made to look bad. Jerusalem is where the Creator of the this earth and universe had laid claim as being His footstool. And, He will have NO other gods before Him, with Him, around Him, etc. Plain and simple…. the God of Israel is not the god of the Muslims. Jehovah’s name is not Allah. Rabbi Moshe Levinger was already a saint while living. Why? Because he was a Jew living out Torah. Remember the Bible was written by Jews to the Jew. The gentile (stranger) is grafted in to the Root of Jessee…not the other way around. Yes, there is the issue of Messiah in Moshe’s life…and only God knows that. 31:23 Love the LORD, all his saints! But…But… Yes, first comes the heart for God and then will come the actions to following God’s instructions. Like Jesus’ brother, James, (Gal 1:19, Matt 4:21) said, You will know them by their fruit. We can reference Cain whose heart was selfish to Judas whose heart turned from God and he then betrayed Messiah. Then, we look at our own hearts. It is the heart that determines our offerings (time, money etc.) or fastings or things we sacrifice for God that are counted for righteousness. We can look at the Hebrew 13 list of saints and they all came by FAITH in believing God in what He said. Their offerings looked to the Messiah. What we look to is remembering what Messiah did at that stake. When Yeshua (Jesus) reigns on this earth for a thousand years we will make offerings as Messiah instructs us. He told Mosche what to bring and when to bring it. We will be instructed on what and where once again. The problem with men right now is that there is no faith in the “Ten Commandments” much less the other …. how many. It doesn’t really matter how many because most men are following them just because it all makes sense to live safely on this earth. Men will put a rail around their deck so someone does not fall off. I put four baby birds back into their nest I knocked down because I saw they still needed time to grow and, “Yes, the mother bird was watching me.” But, I remembered the instruction and will be blessed for obedience to God’s instruction manual. Just as the Pharisees went overboard on their traditions (high fences), our traditions have piled up so high that we can’t see over the fence at all. The walls need to stop being built. Jesus said his yoke is light. His yoke is the Torah. It is light. Today, Pope Francis kindly believed in making these four people, “saints” that people would venerate them and want to be like them. Their good works of ‘helping others’ was a ‘work’….the Pope does not mention their faith in God, much less their faith in the atoning blood of the lamb (Jesus). In fact, this Pope did not ever know them personally… as God knows each of his saints. Bawardy was a mystic who died in the West Bank town of Bethlehem. She founded a Carmelite monastery that still exists today. She died in 1876 at age 33. I would say that she was probably hemophilia because she would bleed openly. Did someone choose to open her body at her hands and feet so she represented Christ’s bleeding points? She was called a mystic, or did she die from anemia. She needed an educated doctor. These were Arab woman chosen to bring Peace to the Middle East. How would they do this? The Arab world will now lay a stronger claim to Bethlehem where Jesus was said to be born and they will lay a stronger hold to Mt. Carmel where Ezekiel slew the 450 false prophets. When I was in IsraEL in 2009, Bethlehem was not safe to tour. Again, it is allowed to be controlled by the Arabs for the sake of “peace.” There is not even a special site that is proven to be Christ’s birth place. This is what God wants…no adoration is needed. Dead people nor any objects are to be worshiped. It is the living God that desires to be meet with His children. As I’ve been talking about this I’ve come to realize that today on Jerusalem Day was a very prophetic day. We just witnessed Two False Prophets joined together in their goal for world peace. Their peace is trying to show that people are good. This peace brings men to pray to these dead individuals making them like gods. This PEACE was about God’s land. This PEACE was once again about Israel being an apartheid state because people feel persecuted there and move away. But, in the real truth, it is the religion of Muslims (gone wild) that cause the unrest so people can NOT live there. But, it will always be thrown back to blame the brother, Jacob (IsraEL) as being, ‘the problem’ to the world. These four women were canonized today to become saints for the sake of women’s rights in the world. God already created women equal to men. In fact, a Kahil woman surrounds her husband in protection. Our world is so out-of-touch with God’s instruction book that they make up their own paths to God and expect Adonai to accept them. What do the Muslims have to do with the Catholic religion? Mohammad married Fatima, a Catholic. Today…in the United States tornadoes, winds and more are rampant as I type. I thought I might not get to go to my Torah/Bible study on Shabbot as it poured rain on my way there. But, before the bible class I prayed I could see our seven-year old grandson’s soccer game. He began his game in the rain and then as I arrived late I watched him play in the sunshine. I prayed that I could be ready to rest at the Erev of Sabbath. The winds and dark scary skies were coming and the mowing was not done. The storm turned and we enjoyed a beautiful evening outside with grandchildren and family that dropped in. The discussion was about the pond still being so low. The two inches of rain the day before did not fill it. I was just writing about the State of Washington declaring drought for the first time in it’s history. California is in huge trouble with water and is on ration. I wrote about The State of Washington being very anti-Jewry with a group of 50 or 100 stopping the workers from unloading Israeli goods coming into America. California has been having Union strikes and the cost of goods are being affected in America. Now….dah….Who is out of water? Who is acting against God’s children? I slept sound last night but my husband was awake most of the night as 3.05 inches of rain poured down with high winds. The drought was over for us for now. God heard our prayers. The pond is full. On Sunday, the story line read, “There is an unusual upper atmospheric disturbance.” “There are pockets in the system.” I thought to myself…”Unusual?” “Upper Disturbance?” I knew it was God that they could not describe. It was unusual because it touched the upper United States and tipped as far south as Mexico. I was getting reports from Arizona being drenched in water. It was an incredible force that would continue across the entire United States. Outages would not only be in Texas and Oklahoma, Kansas, Nebraska, Iowa, Missouri….it would continue. Four died last weekend with tremendous damage in wide paths. I want you to ask yourself why there are ‘pockets’ of relief from this terrible storm system right now? I believe it is a witness to God. He is protecting those that are resting on the first instruction He gave Adam. Sanctify the Sabbath. Rest. Jesus is declared as The Lord of the Sabbath. The high walls that had been built around the Sabbath were tore down by Jesus. He never threw it out, but endorsed it as we see Him correcting the Pharisees that even David went into the Temple to find bread to eat on the Sabbath. 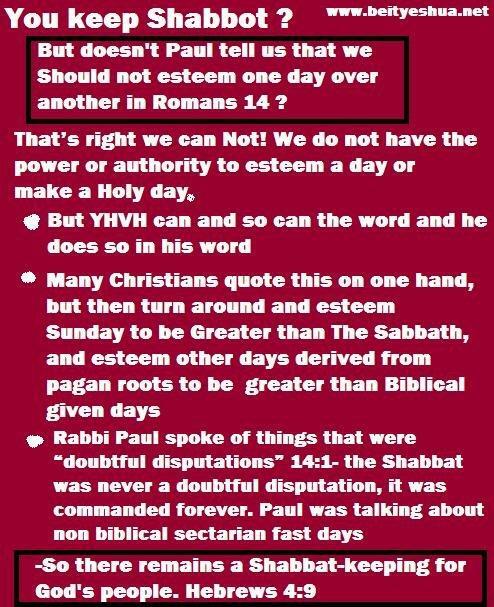 It is right after this discussion that Yeshua (Jesus) is declared The Lord of the Sabbath. Why would you be Lord of something if it didn’t exist? What do people do when they finally have time to just sit back? The Sabbath is the Lord’s…and they should be ‘talking’ to God and make their praise, worship and requests before Him. ‘Pockets’ was the right word…. I had ‘pockets of rain’ pour on me…shut off when I requested it. Filled our pond with NO destruction and the winds moved on. We sat and saw the incredible thundering and lightening and heard the roar of the trees. This tornado took that same route as it did one year ago. My mail lady told me her story and now I tell you. Hostetter Rd (a road north of our property) down Blue Mills (One mile south of us) to Sibley…,moving to Orrick.. to once again level a few homes. Same path as one year ago that I wrote about as we stood outside and saw it form in 2014. Orrick was hit in 2011, 2014 and 2015. God has spared us again. Good night to all the ‘living saints’. He hears the prayers of the living, not the dead.